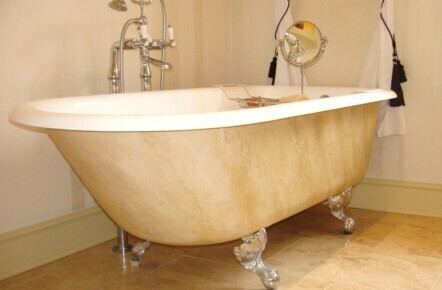 For this faux marble paint effect project I painted the outside of a roll top bath to match the real travertine floor beneath. 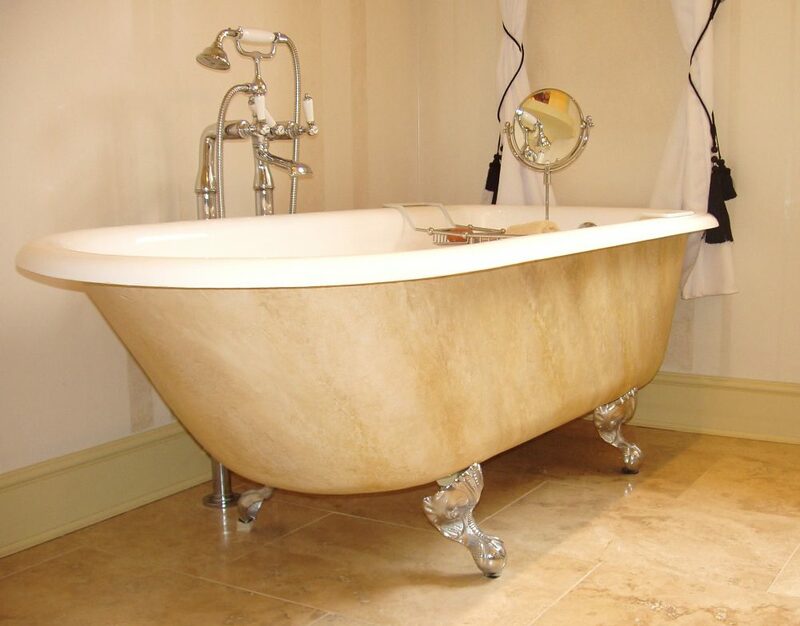 The travertine effect is subtle and only has a few veins so as not to jar with the real travertine below. The walls were also painted with a pearlescent stripe paint effect which sparkles in candle light and really bring another dimension to the room. 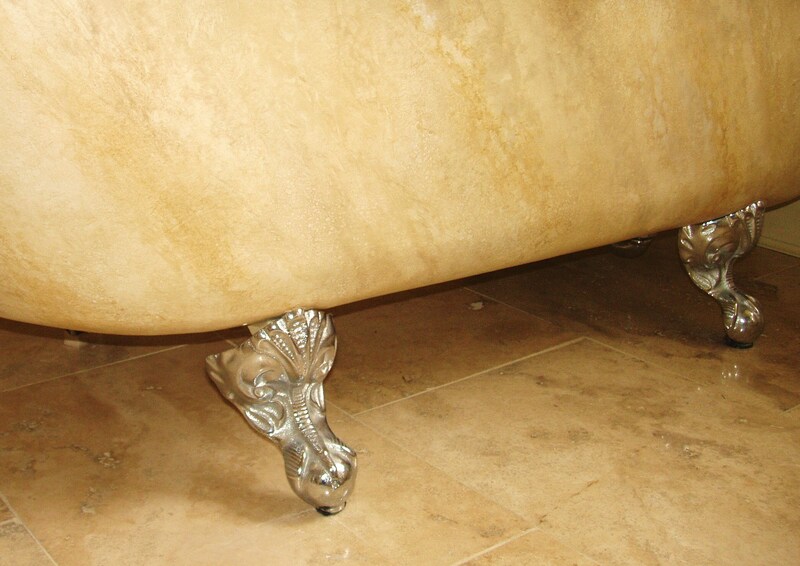 Please use the following links to see the main Faux Finish Gallery.